Revitalise your day with refreshing zesty notes courtesy of Alessi’s electric citrus squeezer. A clever and efficient state-of-the-art kitchen accessory, its compact design takes the hard work out of squeezing oranges, lemons, grapefruits and limes. Constructed of glistening mirror polished 18/10 stainless steel, invest in innovation at its healthiest. Designed by Stefano Giovannoni.Dimensions: Height 28cm, Diameter 22cm. 1 Pcs / Pack - Juicer cast aluminum, white. "Juicy Salif", designed by Philippe Starck in 1990, has become an icon becoming one of the most popular objects of the catalog of Alessi. To celebrate 25 years of "Juicy Salif", we were made two special versions of the Juicer.The first is for all fans of "Juicy Salif": its aluminum core has a ceramic coating opaque white. A non-color which enhances the shape and abstracts the object, emphasizing its value icon. The ceramic coating allows the contact with foodstuffs and the use of the object in the kitchen. "Juicy Salif" is proposed with a special packaging, developed in collaboration with the author. Juice whole fruits and vegetables with the effective Bosch MES3000GB Juicer.Powerful juicingYou can juice whole fruit and vegetables on the Bosch MES3000GB thanks to the XL feeding tube - there's no need for pre-cutting.The 700-watt motor powers through your ingredients with ease while the stainless steel micro-sieve delivers optimum juice extraction.Practical designTwo speeds on the Bosch MES3000GB Juicer provide ample power for both soft and hard fruit and vegetables.The included 1.25-litre container will deliver plentiful portions of juice so you won't find yourself running out quickly.This striking juicer is also easy to clean as all parts are dishwasher safe.The Bosch MES3000GB Juicer makes it easy to consume your five-a-day and comes with a two-year guarantee for added peace of mind. 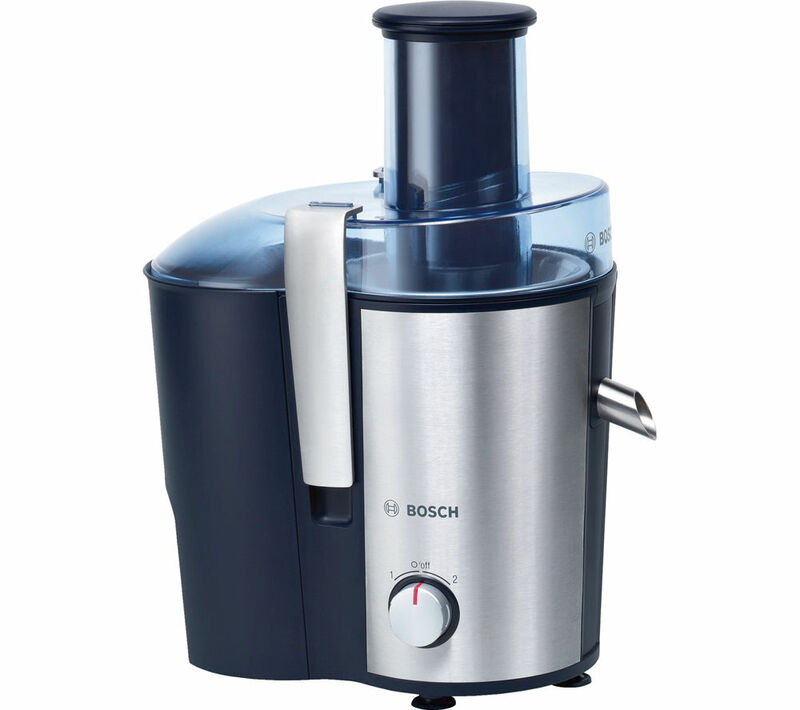 The MES3500GB is a whole fruit juicer from Bosch that will quickly and effectively juice whole fruit and vegetables. The juicer is very safe to use as it features a clever mechanism that will prevent the motor from running until everything has been properly connected. The fruit juicer will come with 2 different speed settings so whether you are looking to use soft or hard fruits, you will be able to create a delicious juice for the whole family. The jug will come with a spacious 1.2 litre capacity which makes it the perfect size for family's or if you are just looking for a juice for yourself. 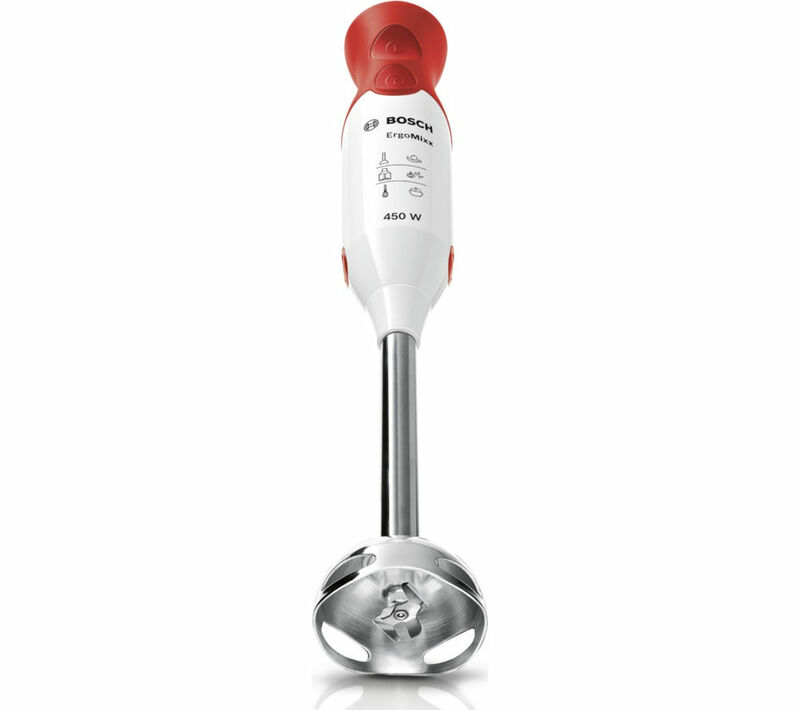 With an innovative QuatrroBlade knife and 450 W of power the Bosch MSM64120GB Hand Blender makes food preparation quick and easy. Incredibly quiet, the MSM64120GB blitzes through ingredients for fast and smooth results. Ideal for making soups or sauces, its QuatrroBlade knife offers professional quality blending. Powered by 450 W the Turbo button maximises power to help you achieve the results you want in no time. What's more, the MSM64120GB is designed with an AntiSplash mixer foot to help prevent splashes and keep your kitchen clean. Whatever you're cooking, save time and energy in the kitchen with the Bosch MSM64120GB Hand Blender . 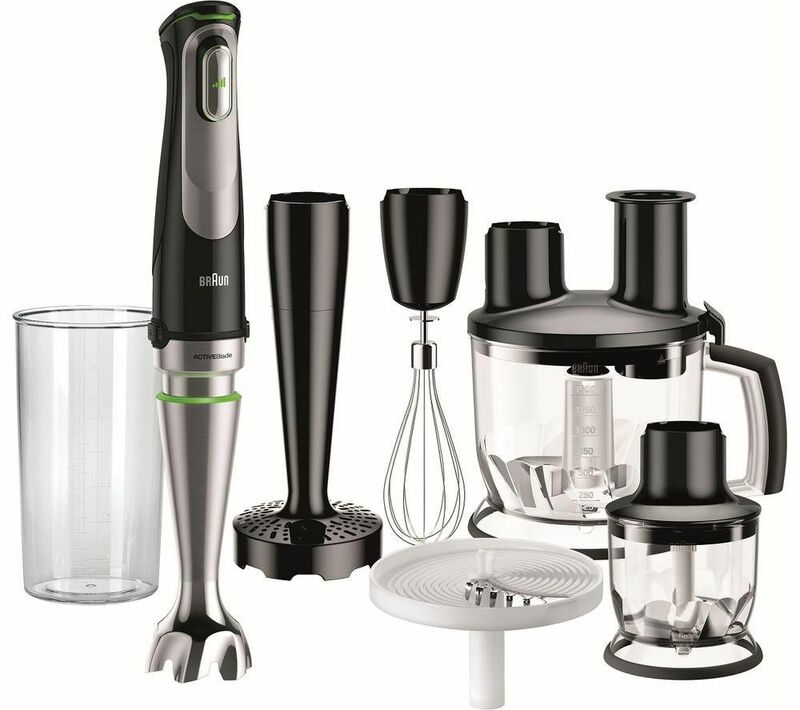 With a powerful motor, comfortable design and handy accessories, the Braun Multiquick 3 MQ325 Hand Blender delivers impressive results in an instant.Quick blendingThe Braun Multiquick 3 is designed for simple, splash-free blending directly in the pot, pan or supplied 600 ml beaker. Perfect for soups, sauces and much more, it's easy to achieve great results without having to mess around with a full-sized blender. Its extra-lightweight construction takes the strain out of prolonged use whole the slim, soft grip handles give a secure grip. Chopper and whisk Included is a chopper attachment that makes light work of chopping vegetables, mincing meat, crushing nuts and more. 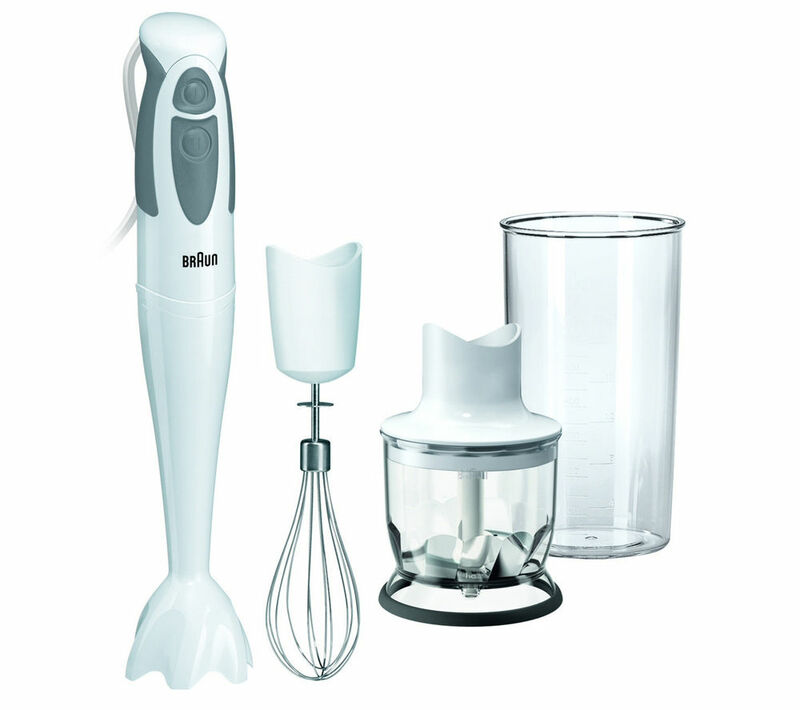 The whisk attachment takes the strain out of whipping, beating and mixing for delicious deserts without the effort.Blend quickly and efficiently with the Braun Multiquick 3MQ325 Hand Blender. Combining a robust yet elegant design, The Braun J300 gives you an easy way to enjoy your favourite fruits and vegetables. its powerful 800w motor quickly makes light work of fruit and vegetables, allowing you to create the ideal smooth or textured juices in just 15 seconds. A large 2 litre pulp container keeps pulp out of the way, making it easier to deal with later while its dishwasher safe parts are easy to clean afterwards. 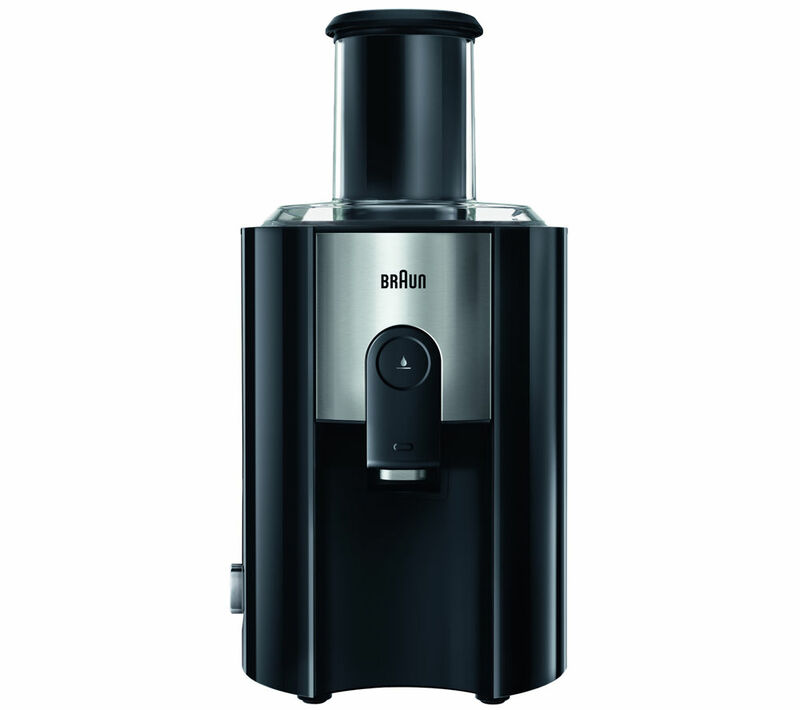 The Braun J300 Juicer lets you prepare up to 1.25 litres of delicious fruit and veg juices.Quick juicingThe Braun juicer uses a powerful 800 W motor to quickly break up fruit and vegetables so you can create smooth or textured juices to your own specification. 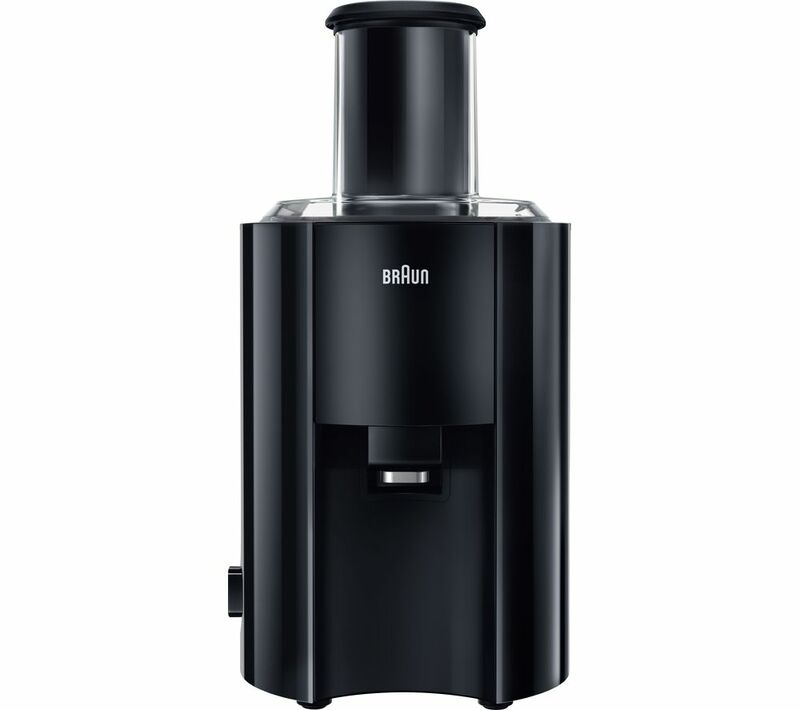 It is capable of making a fresh glass of cold juice in just 15 seconds.Practical designA 2-litre pulp container keeps the pulp from your pressed fruit and vegetables neatly out of sight, so you won't have to deal with the mess straight away.Many of the parts of the machine are dishwasher-safe to make cleaning easier.The Braun J300 Juicer is a perfect choice for home juicing.